Small towns are making a major comeback! As big cities become more crowded and more expensive, it seems that more and more people are flocking to smaller towns for things like family-friendly activities, lower costs of living, more affordable housing, and less time spent sitting in traffic or commuting. This recent trend got us thinking: what are some of the fastest-growing, up-and-coming small towns in America? Ashland is a gem of a small town located near Oregon’s Pacific coast. For years, its main draw was its annual Oregon Shakespeare Festival, a celebration of everything relating to the Bard. While thousands of people still flock to Ashland for the festival, more and more are choosing to make Ashland their full-time home. A collection of preserved and restored historic buildings make the walkable downtown area that much more charming, while Ashland has welcomed an influx of new restaurants, art galleries, and performance venues in recent years. Just as Phoenix, Arizona has experienced an explosion in population growth recently, so too has its smaller suburbs and neighbors. A prime example is Buckeye, located about 35 miles west of Phoenix. Loosely interconnected subdivisions have popped up all over the area, and with each new cul-de-sac and gated community, the city limits of Buckeye extend further and further. Buckeye saw its biggest increase in population between the years 2000 and 2010, though the numbers have barely slowed down since. It currently has a population hovering around 60,000, with a growth rate averaging 4.5% per year. In recent years, people have flocked to Durango, Colorado to take full-time advantage of the area’s beautiful natural surroundings and opportunities for cycling, mountain biking, hiking, kayaking, and fishing. The town has retained its charming Old West heritage and vibe, though new restaurants and clubs have provided both modern entertainment and an interesting juxtaposition with Durango’s historic buildings. Each January, thousands of locals and visitors brave the cold to experience Durango’s three-week long SnowDown Festival, which includes fireworks and a beard-growing contest. Thanks to its proximity to five major ski areas, the town is also a hub for downhill skiing and other snow sports. Thanks to the rapid growth of nearby Austin, Georgetown, Texas has been experiencing an average annual growth nearing 8%! Located about 30 minutes from downtown Austin, Georgetown has until now been best known for its annual Red Poppy Festival. Since 2000, however, Georgetown’s population has doubled to just over 60,000. Most people are drawn to the suburb’s unique historic feel, beautiful Victorian-era architecture, and rapidly increasing property values. Despite its rapid recent growth, Golden, Colorado remains a charming place with a distinct small-town feel. Coors Brewing Company and the National Renewable Energy Laboratory are two of the largest employers here, and add to Golden’s higher-than-average median income. Real estate here has been booming in recent years, thanks in part to the appeal of an active community, a blossoming arts scene, and a lower cost of living. Plus, Golden is absolutely gorgeous. 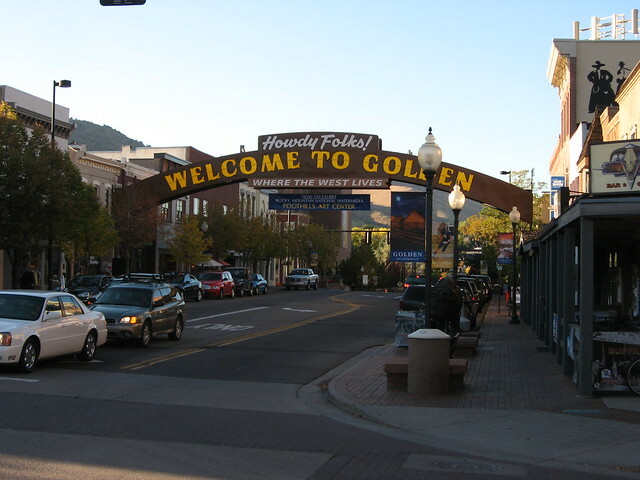 Situated at the foot of the Rocky Mountains, Golden is surrounded by beautiful views, while a picturesque creek runs right through the middle of town. Thanks to a downtown revitalization effort that caught has caught the attention of everyone from Livability.com to Forbes, Greenville, South Carolina is quickly moving its way up the list of growing and trendy small towns. Part of the revitalization was a new 40-acre park complete with a 350-foot suspension bridge that spans a gorgeous waterfall — all of which is located in downtown Greenville! Additionally, the recent growth has brought in a number of major hotels, more than 100 locally-owned restaurants, a new stadium for a Boston Red Sox farm team, and a new performing arts center that plays host to five Broadway shows per year. Adventure types have long been drawn to Hood River, Oregon, a small town that provides ample opportunity to ski, windsurf, mountain bike, hike, and just about any other outdoor sport one can think of. In recent years, Hood River has also begun to attract those looking for a beautiful and family-friendly place to live. Indeed, those ages 5-17 make up the slight majority of Hood River’s population, which just goes to show how kid- and family-friendly this beautiful small town is. Livability.com has even included Hood River in two of their annual Top 10 Best Small Towns lists. Though median home prices are higher than the national average, and the average annual income is slightly lower, those numbers are evening out thanks to a rapidly growing economy led by a handful of tech companies that have found a home here. A suburb of Tampa, Lakeland, Florida is on the larger side for our list of small towns, though it’s much smaller than its nearest neighbors. Over the last half-decade, Lakeland’s population has skyrocketed thanks in part to its friendly business tax climate and cost of living. Still, Lakeland has retained much of its small-town charm; the largest industries in the area are still citrus farming, cattle farming, and phosphate mining. But that may be changing. 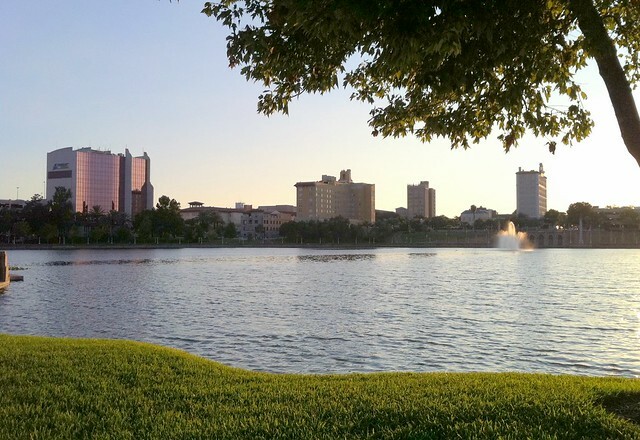 Those moving into Lakeland are educated and ambitious, and currently 26.1% of residents hold a bachelor’s degree or better (the state average is around 25%). 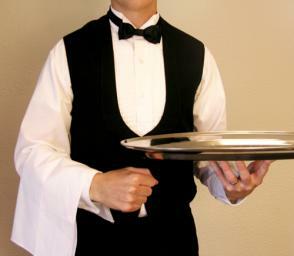 Meanwhile, the fastest growing industries include tourism, medicine, insurance, and transportation. Lebanon might be the smallest city in New Hampshire, but it’s also one of the most up-and-coming. Beautiful surroundings, a strong economy, top-notch schools, a low cost of living, and lots of community involvement are what greet those who move here. 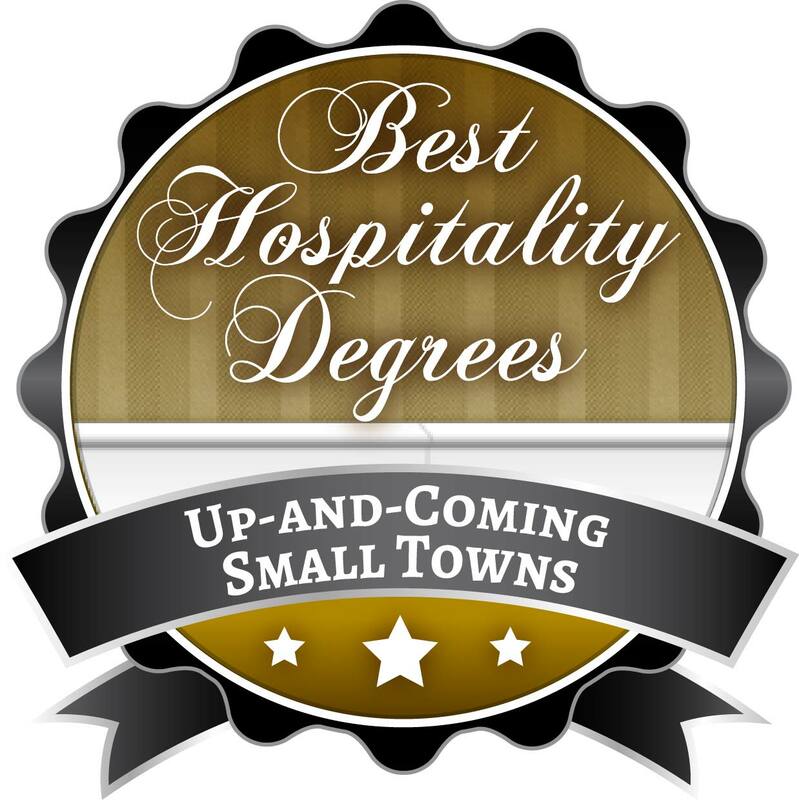 Because of these factors, Lebanon has been included on a number of Best Small Town lists, including Livability.com. The Dartmouth-Hitchcock Medical Center is located here, as are a growing number of tech companies like Timken Aerospace and GPS maker TomTom. Families in Lebanon will always have something to keep them busy. The nearby Connecticut River means plenty of outdoor water fun, while places in town such as Colburn Park are frequently hosting festivals and concerts. Long known as a recreational destination for those living in the Dallas-Fort Worth area, Lewisville, Texas has experienced rapid growth as people decide to make this beautiful town their permanent home. Most of Lewisville’s newest residents seem to be business oriented, and the largest employers in the area include JPMorgan Chase and Nationstar Mortgage. The average annual income here is just under $60,000, higher than the national average, while median home prices fall around the mid-$100k. 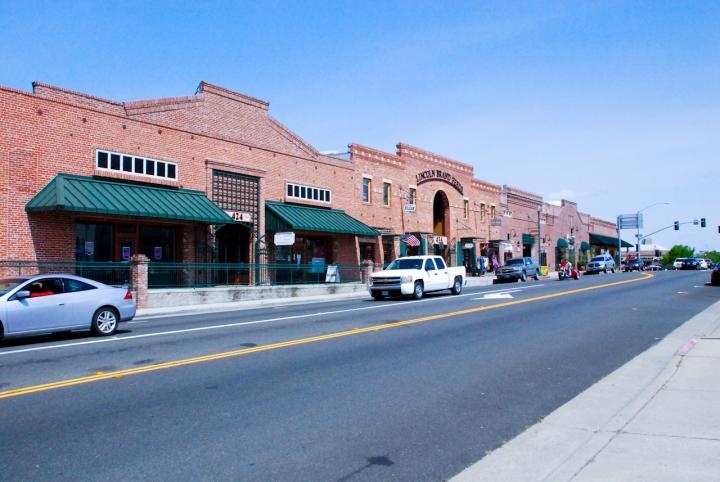 According to the U.S. Census Bureau, the fastest-growing small town in America is tiny Lincoln, California! In fact, Lincoln’s population grew by an amazing 282% in just a 10-year time period (and a 10% increase from last year to this year)! The city has been approving hundreds of new business licenses, with lots of new shopping opportunities — locally owned and big box stores — on the horizon. And did we mention that shoppers in Lincoln don’t pay a city sales tax? Most of Lincoln’s 45,000 residents own the home in which they live, and the median home price is currently hovering around the low 300s — making it one of the increasingly rare places in California in which it might just be affordable to purchase a home. 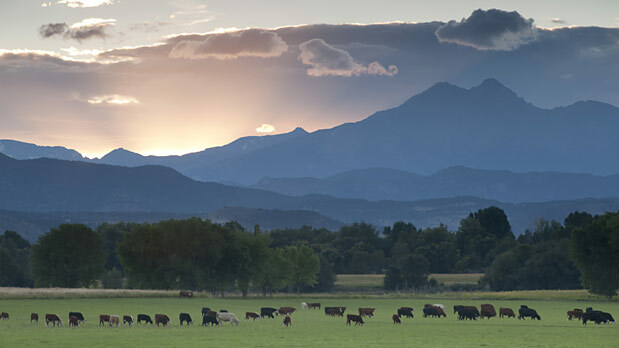 Longmont, Colorado treats its residents to stunning views from its spot at the foot of the Rocky Mountains, great schools, affordable housing, a low cost of living, and plenty of quality healthcare options. As if that weren’t reason enough for its growth, Longmont is also a booming arts town, and was recently named a certified creative district for the state. Art galleries, creative shops, and various art exhibits dot the walkable downtown area, while a network of paved trails takes you to more than 75 works of art around the city. It’s no surprise that Los Alamos, New Mexico is one of the most up-and-coming small towns in America. Located upon the Pajarito Plateau, between the Valles Caldera National Preserve and the Santa Fe National Forest, Los Alamos’ pure southwestern feel is both rugged and totally charming. The area is a mecca for outdoor sports and activities such as hiking and cycling, while cultural attractions and even a popular horse racing track mean there is always something to do here. Los Alamos also boasts a healthy economy and a population with a higher-than-average intelligence thanks to the Los Alamos National Laboratory, which employs hundreds of locally-based scientists and engineers. Louisville, situated southwest of Boulder, Colorado has experienced a massive recent growth spurt thanks to the several high-tech and space exploration companies that have established themselves here. Besides the obvious economic and employment benefits that come with such companies, Louisville residents can enjoy their walkable small town that is full of art galleries, studios, restaurants, and live-music venues, many of which are housed in buildings with histories that stretch back more than 100 years. 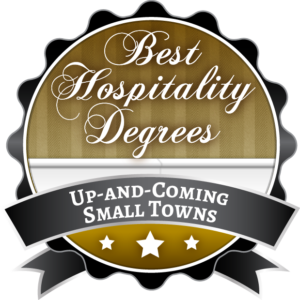 Middlebury, Vermont might be an historic town (the whole place is listed on the National Register of Historic Places), but it also has quite a future as one of the most up-and-coming small towns in the nation. Otter Creek, the longest river in Vermont, is the focal point of the downtown, and winds its way past a number of historic homes and businesses. 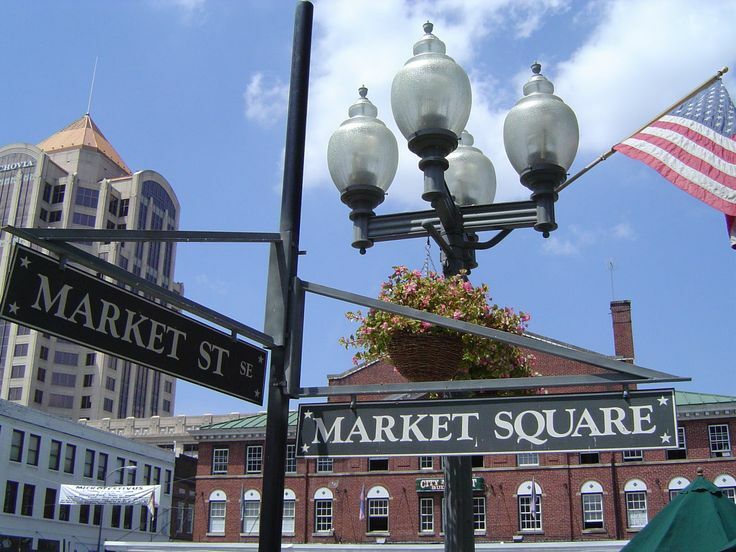 Surrounding the charming downtown is a more modern commercial district, the growing business center for all of west-central Vermont. Thanks in part to nearby Middlebury College, numerous events take place throughout the year, including a popular summertime After Dark Music Series. Just like the other San Francisco Bay Area towns on this list, Milpitas, California has been experiencing rapid growth as people search for places other than the congested and overpriced larger cities. Located near the Baylands just north of San Jose, Milpitas is the chosen address of a number of Silicon Valley tech companies including Cisco Systems, Flextronics, and SanDisk. Not surprisingly, it’s this association that has contributed most to Milpitas’ 5.2% growth per year. A place that has long been popular with every type of person from academics to hippies, Missoula’s rapid growth spurt was initiated by those who were just looking for a place where they could spend as much time outdoors as possible. Some of the best fly-fishing spots in the world exist not too far out of town, while more than 20 miles worth of bike paths and hiking trails weave through and around the city limits. And there’s no forgetting the gorgeous surrounding scenery! As more and more people have found their way to Missoula, downtown revitalization efforts have brought in plenty of cultural amenities such as high-end boutiques, myriad restaurants of all kinds, a thriving food-truck scene, plus six breweries two wineries, and one distillery, with more opening every year! Most of the driving force between Mount Kisco, New York’s recent growth has been its top-notch schools and quality local education. Bedford Central School District is often recognized for its quality curriculum, and is consistently included among the best public districts in the state. 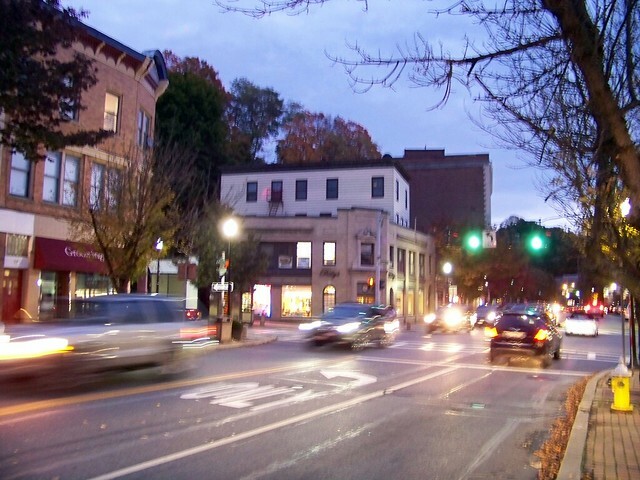 One can buy a condo, an historic Victorian home, or a multimillion-dollar estate here, making Mount Kisco a haven for just about anyone from families, to single young professionals, to retirees. Community involvement is also high here, with residents taking an active hand in helping to preserve much of the local history and National Register-listed buildings. Called a “techie’s dream town,” Mountain View, California is the home of Google’s corporate headquarters (plus those of LinkedIn and Symantec) — a fact that has spurred major economic growth in the area and has helped to make Mountain View one of the most up-and-coming small towns. Mountain View is located smack-dab in the midst of Silicon Valley, meaning there are a whole lot of 25-34 year olds and a whole lot of things to keep such a young population happy and entertained: bike trails, shoreline pathways, a sailing area, parks, myriad ethnic restaurants, and easy access to San Francisco, just to name a few. 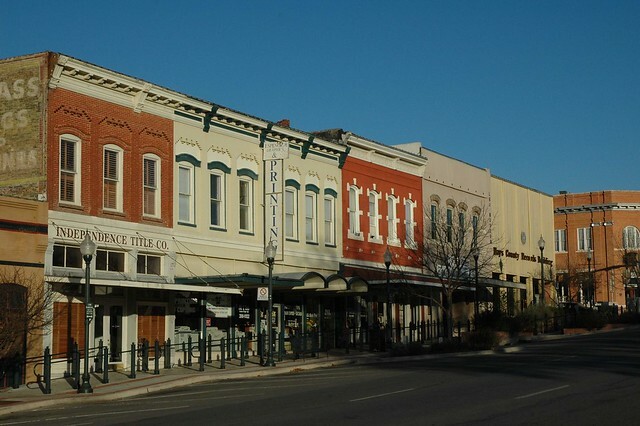 Located about 40 minutes from San Antonio, one of Texas’s fastest growing cities, New Braunfels is experiencing its own rapid growth spurt. Founded by German immigrants, its European charm has long been a draw to families looking for an old-world, historic feel. New Braunfels hosts two highly-attended festivals annually, the Wurstfest and the Wassailfest, and is also home to the Schlitterbahn WaterPark Resort. According to numbers, it would seem that many are choosing to stay in New Braunfels more permanently than just a water-filled weekend away. With a current population of just over 66,000, the town has been experiencing a 4.8% growth per year. Beautiful natural scenery and a low cost of living have helped to make Ogden, Utah — located about 40 miles north of Salt Lake City — an up-and-coming small town. Ogden boasts a charming and walkable downtown chock-full of park spaces, boutiques, restaurants, and cafes, while just outside the city limits is a plethora of opportunity for skiing, mountain climbing, hiking, and biking. The Internal Revenue Service (IRS) is Ogden’s largest employer, though there is also a growing number of health-related and manufacturing jobs. Ogden’s charm and growth haven’t gone unnoticed. Outside Magazine called it one of the best towns in America, while sites like Livability and Movoto include Ogden on their lists of affordable cities and places in which to buy a home. As the towns and cities surrounding San Francisco become progressively over-crowded and unaffordable, smaller historic gems like Pleasanton have seen an unprecedented rise in economic growth. 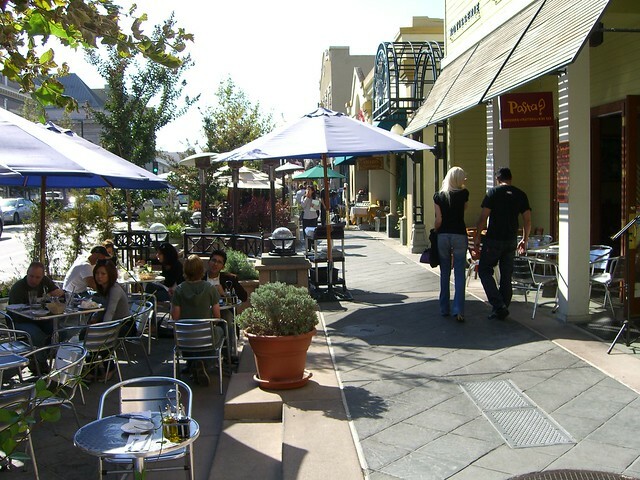 Pleasanton, which experiences a 4.6% growth per year, is especially sought after these days. Besides a fantastic location between the two major freeways (one heading toward San Francisco, the other toward San Jose and Silicon Valley), Pleasanton has a charming and walkable downtown, lots of community involvement (including one of the best county fairs in the nation), top-notch schools, and surrounding hillsides complete with windy back roads and wineries. It is art and creativity that is driving Portland, Maine as one of the best up-and-coming small towns in America. Over the last decade, hundreds of artists, photographers, writers, and designers have moved to Portland, and the city’s infrastructure is beginning to reflect their talents and contributions to local life. The historic Old Port waterfront district has become one of the trendiest places in town, complete with new shops and restaurants. Another trendy area is Bayside, a district that has been transformed from scrap yards and warehouses to student housing, fun eateries, and even a popular bowling alley. Touring Broadway shows now stop in Portland, though that hasn’t taken away from the town’s own opera company, two ballet companies, and symphony. Community events like First Friday Art Walk and the Harvest on the Harbor festival, the latter of which samples local seafood and crowns a new Maine Lobster Chef of the Year, draw more and more people from around Maine and New England. Over the last four years, Roanoke, Virginia has experienced a massive influx of people looking to take full-time advantage of the area’s beautiful mountain scenery, easy access to the Appalachian Trail, and proximity to just about every major city on the East Coast. Recent revitalization efforts have vastly improved the trendy downtown area, adding a new pedestrian plaza and an amphitheater at popular Elmwood Park. Roanoke residents love the outdoors, too. Besides the access to the Appalachian Trail, the Upper James River is the perfect place for tubing on a hot summer day, while cycling along the Roanoke River Greenway is another great way to spend an afternoon. For most people who want to be surrounded by the vineyards and wineries they love, famous places like Sonoma and Napa are firmly out of reach. Luckily, a new wine region has been gaining popularity and economic traction lately: San Luis Obispo, California. A long-time college town fondly nicknamed “SLO,” San Luis Obispo has grown in recent years and become one of the trendiest wine-producing regions in California. Today, more than 200 wineries collectively make up one of the town’s largest employment sectors, while tech jobs have also been steadily increasing over the past few years. Best of all, SLO has remained remarkably affordable (for California, that is), with home prices averaging just over $500,000. San Marcos, like its neighbor Georgetown, Texas, is also feeling the benefits of Austin’s rapid growth. In fact, San Marcos has topped the list of the country’s fastest growing towns for a few years now, experiencing an average annual growth of just under 8%. The booming student population at Texas State University gets part of the credit, while much can also be said for San Marcos’ lower cost of living, big-city amenities, close proximity to both Austin and San Antonio, and a lively downtown that appeals to both families and the college student crowd. Sheridan, Wyoming is situated between Mount Rushmore and Yellowstone National Park. 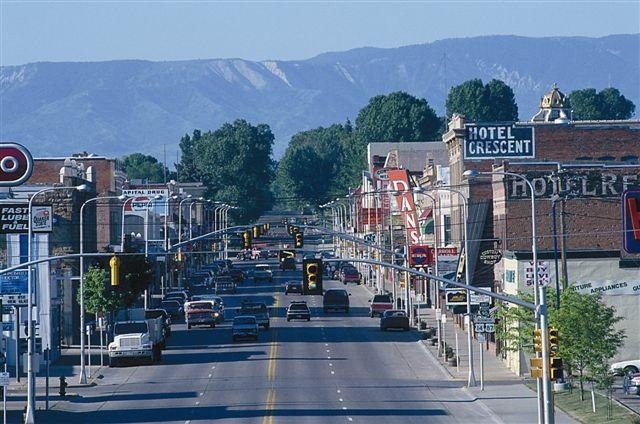 With its rural location, Sheridan is picturesque, family-oriented, affordable, and one of the most up-and-coming small towns in America. Most people who live in Sheridan love to spend time outdoors. Named by Livability.com as one of the best places in the country in which to ride a bike, Sheridan is surrounded by an extensive collection of bike trails (along with hiking trails, walking trails, and horseback riding trails). Nine parks, plus many other open spaces, make playing outside both easy and enjoyable. Despite its growth, Sheridan hasn’t lost touch with its history. The site of the Battle of Little Bighorn is nearby, 10 local buildings are listed on the National Register of Historic Places, and the area’s best restaurants are known for their authentic western-style meals. St. George, Utah, is consistently ranked one of the top places in the country in which to raise a family. This is one of the big reasons it has been one of the fastest-growing regions in the U.S. In recent years, more and more families have flocked to St. George because of the high percentage of kids (the majority of the population falls between the ages of 5 and 17), a low crime rate, a low cost of living, and a nationally recognized school district. Even some of the town’s biggest attractions appeal to kids, like the St. George Dinosaur Discovery site, the Rosenbruch Wildlife Museum, and the St. George Children’s Museum. While Detroit and its surrounding areas have experienced decline in recent years, the same certainly cannot be said for its northern neighbor, Traverse City. 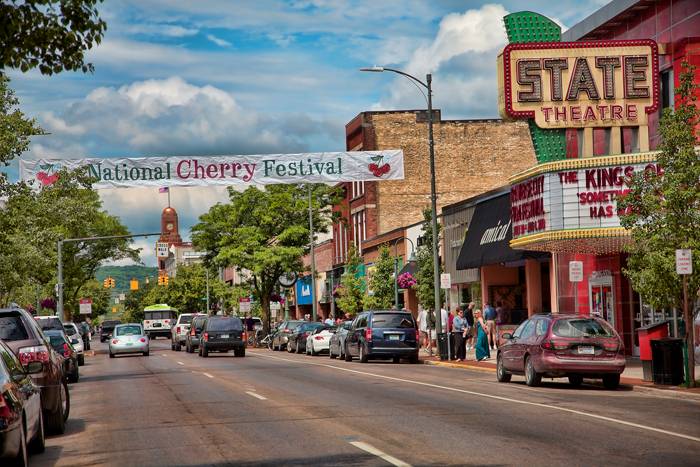 Life is sweet in this small Michigan town, which is known far and wide as the “Cherry Capital of the World.” Each year, the town hosts the National Cherry Festival, while stunning views, freshwater beaches, vineyards, and charming shopping districts remain a huge draw during the rest of the year. Schools in Traverse City are some of the best in the state, while local restaurants have helped to earn Traverse City a spot on myriad lists as one of the best places for food. Add to the charm the fact that Traverse City has a relatively low cost of living, with median home prices landing around $170,000. With Madison, Wisconsin becoming more congested and expensive, many Madisonians have been opting for a quieter and more affordable lifestyle in nearby Viroqua. The heart of Viroqua’s downtown is Main Street Station, a unique indoor public market that houses a cafe, an organic ice-cream parlor, various shops and boutiques, and the Greenman Music Hall which hosts a number of concerts and other events throughout the year. Just as important is Viroqua’s affordable cost of living. While the town’s median income is slightly above the national average, the current median home price is lower than even the state average.